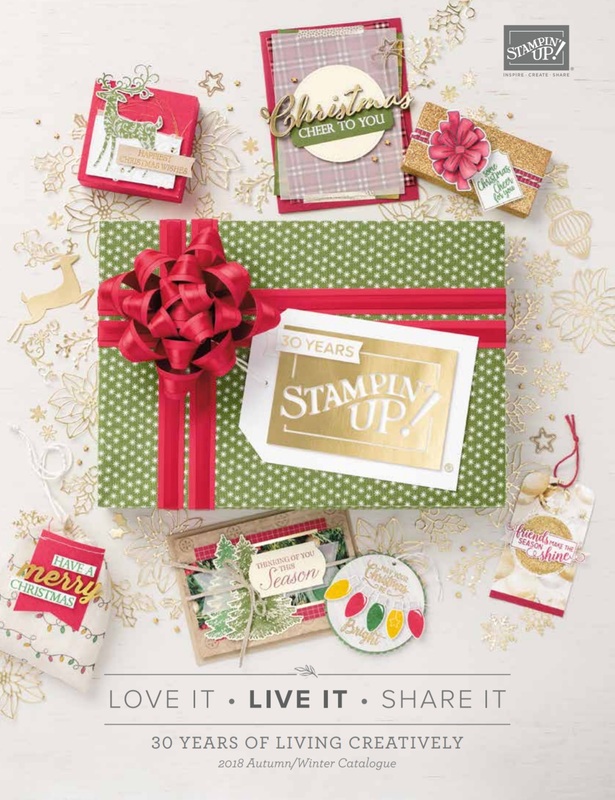 I was excited to receive my last order from Stampin' Up! because it contained some brand new items from the new annual catalogue which launches on 2nd July. As demonstrators we get to see the catalogue early and even order selected items up to a month before everyone else. I have to tell you it's my favourite catalogue yet, packed full of ideas, projects and inspiration. The new in-colours are fab and I am going to find it so hard not to spend spend spend because already my wish list is through the roof!!! The in colours for 2013-15 are called Coastal Cabana, Crisp Cantaloupe, Baked Brown Sugar, Strawberry Crush and Pistachio Pudding and they really are good enough to eat! The lovely Moroccan-inspired stamps are brand new too! If you can't wait to get your hands on the new catalogue, I can order one for you to post out on 2nd July. It will be £2.50 plus postage but this is redeemable against your first order.